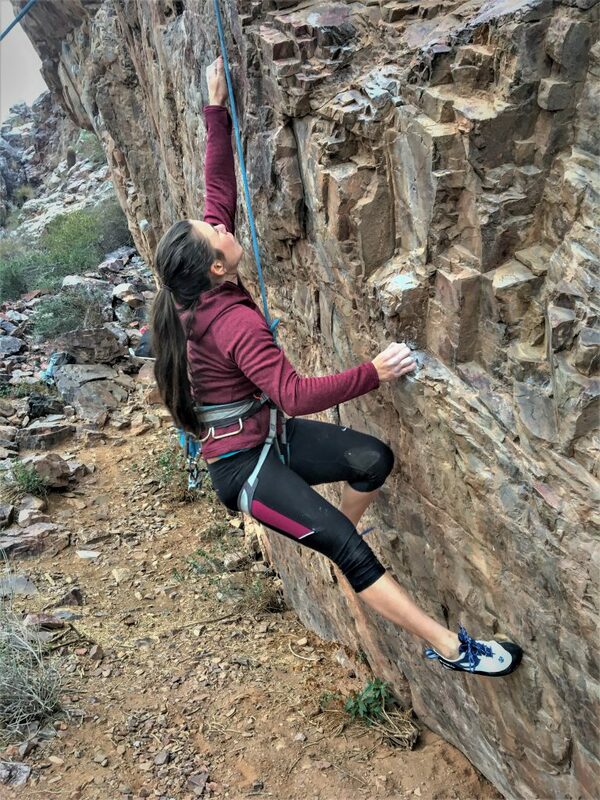 Finding the right pair of shoes can be very trial and error, and over the past few years of climbing and Rock Guiding, I have tried a pretty wide variety of shoes. This past month I picked up my very first pair of Evolv shoes and I’m about to give the full spray down on how stoked I am on the Skyhawks. I currently rotate through about 5 pairs of shoes, each for a specific purpose – crack shoe, bouldering shoe, multi-pitch slab, etc. I had yet to find a shoe I really felt performed well all-around, and I think that’s mostly because I have super wide feet for a lady. Well, ladies, and gents… I think I found it. 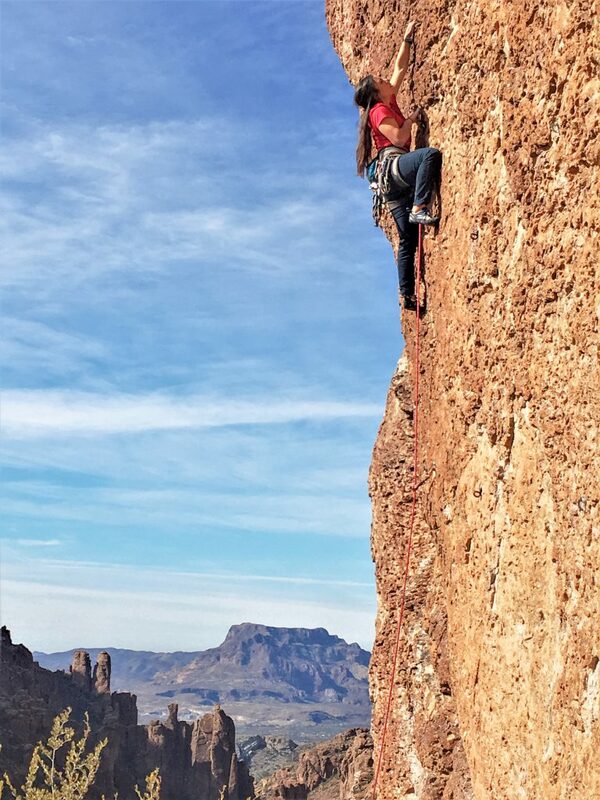 Over the past month, I’ve really put this pair of shoes through the ringer, wearing them on delicate granite slab; big moves on slippery quartzite; vertical, edgy volcanic rock; and jamming hand to fist-sized cracks. So far, I’m pretty impressed with how well they perform each time I take them out on different terrain. 4 stars. The rubber is great, and they’re comfortable enough to wear all day. I was really impressed with how confident I felt in my smears. 4 stars. The rubber is stiff enough to get a great edge. Heel hooks felt good as well. I was also impressed that I was able to trust some smears on this really slippery type of rock. 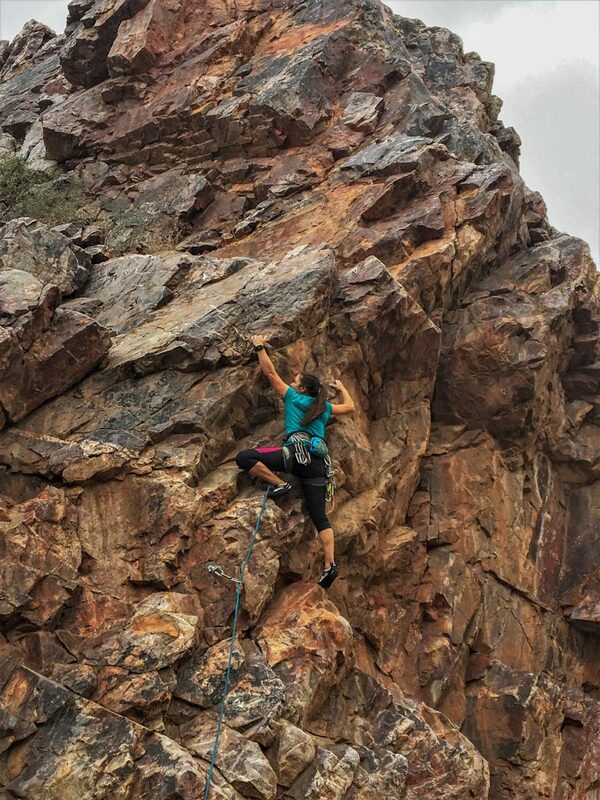 Quartzite can be a lot like climbing on glass, so precise footwork is of the utmost importance. I felt that these shoes performed well from climbing fun moderates, to working the low crux on a more difficult route, despite not being so aggressive. 4 stars. Again, edging action was great. Precise enough for what I needed. I was comfortable enough in them to slam pitches in them all day. 5 stars. My foot has literally never been so comfortable in a hand crack. I have always had problems with foot jams being painful, but the extra padding under the laces really helps cushion your foot. It’s like jamming in slippers. It’s like each jam is a pillow is hugging your foot. This is definitely my go-to shoe for this style of climbing now. Overall, I am very satisfied with these shoes. My feet are wider, and at first I was afraid that I had gotten these shoes too small (true to size from street shoe), but they stretched to fit me perfectly. I was considering trying the men’s version, the Nighthawks, because normally the wider men’s shoes fit me better, but I actually think these stretch just enough to be perfect. If you have thinner feet, these would probably still work well if you tie the laces a little tighter. So that’s about it, folks. If you’re a beginner looking for a good all-around shoe, look no farther. They’ll even hold up as you move onto projecting more advanced routes. Or even if you’re more experienced and want a comfortable multi-pitch shoe, slab shoe, or Indian Creek-style splitter crack jamming shoe, I would HIGHLY recommend this pair. Now get out there and send it. Find the Evolv Skyhawk on Outdoor Prolink. Not a member? Apply today! 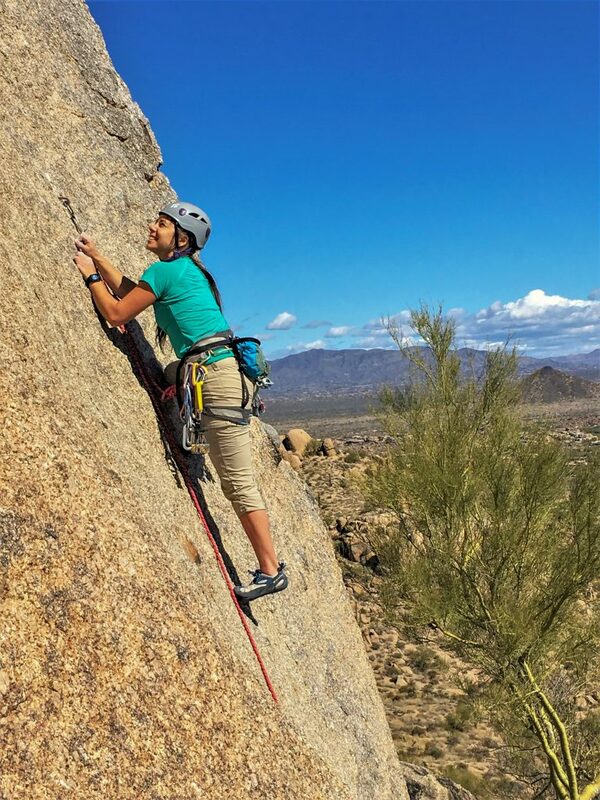 Michelle Marco has been a Rock Climbing Guide for Stoneman Climbing Company in Phoenix, Arizona since 2016. 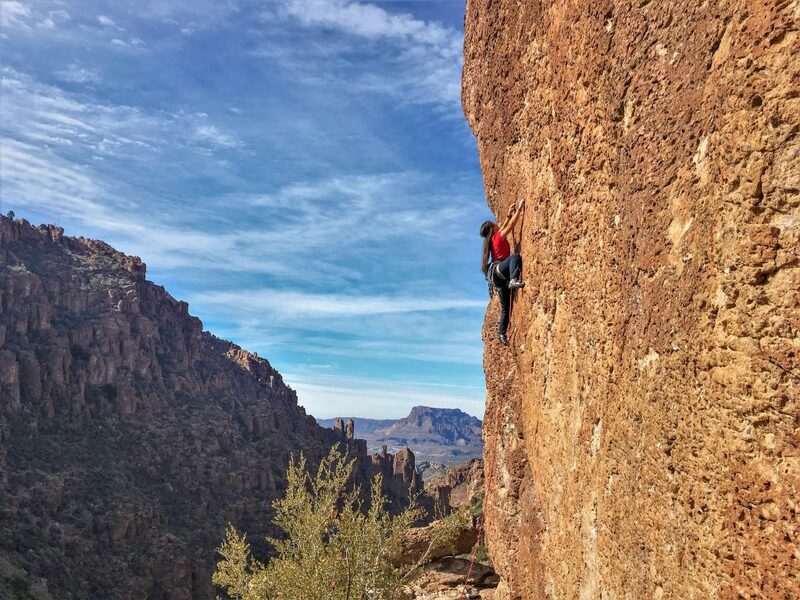 She has been spending all her free time chasing rock in the U.S. for the past 3 years, climbing in areas such as Zion, Indian Creek, Cochise Stronghold, Red Rock, the South Platte, and more.